6th Annual International Social Business Case Competition ‘Creative Shock’. We would like to invite the Bachelor and Master Programme students of University of Nigeria to participate in our 6th annual international social business case competition ‘Creative Shock’. Every year, participants are gathered to solve real social business, marketing and PR problems for social enterprises and organizations with a chance to win the 1500 euro prize and round-trip flight tickets to any destination in the world for all team members! 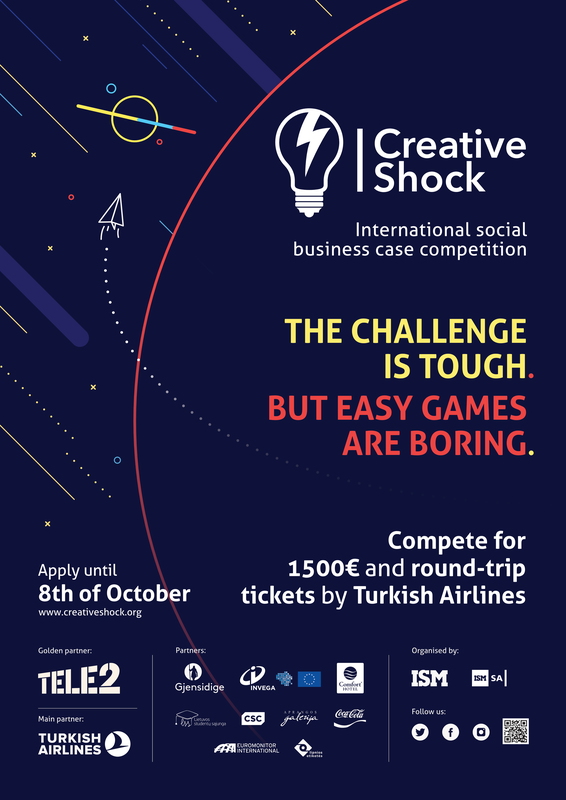 We would be glad if you could spread the word about Creative Shock’16 competition among your students by website, Facebook, emails or any other channels of communication. All material needed (poster, letter for students and Facebook post) is attached to this letter. Thank you very much in advance for your cooperation. We would be more than happy to have participants from your university. Should you have any questions, please do not hesitate to contact us directly.